Love living here submitted by Abbey K. - Feb 19, 2018 |Recommended: YesLiving here is amazing. The maintenance workers are always quick to fix any problems and the staff are friendly. It's a peaceful environment where I enjoy coming home to every day The pool and fire pit are an added bonus.  The Haven is a great place to live submitted by Lori P. - Feb 01, 2018 |Recommended: YesLove living here. The office staff and maintenance are very friendly. First Yearsubmitted by Mark S. - Jan 13, 2018 |Recommended: YesThis is my first full year at the Haven at Cranberry, the noise level is comparable to other apartments. You hear dogs barking in the apartments next to you and the neighbors walking around upstairs. This is my first winter living at the Haven, snow removal is sub par at best. The sidewalks are usually covered with snow or ice or both. the parking lot is not plowed until the later part of the afternoon after a snowfall creating a problem when leaving for work early mornings, when it is plowed it is not done well. which can be misleading, Once you get out of the parking lot and onto the other roads and walkways are usually clear. Westinghouse and the neighboring hotels do a tremendous job keeping their walkways and roadways clear. Very modern apartmentssubmitted by Nicholas S. - Nov 03, 2017 |Recommended: YesNice apartments with good amenities. Occasionally lots of dogs barking. Great place to livesubmitted by Nigel C. - Oct 25, 2017 |Recommended: YesThe Haven is conveniently placed right off the highway but far enough that noise is not an issue. There are great amenities throughout the complex. The staff is very friendly and helpful. Cranberry is a quickly developing area and the Haven is located within a short walk drive of anything you'd need on a daily basis. Love it. submitted by Michael O. - Oct 01, 2017 |Recommended: YesGreat place to live. Staff and maintenance are friendly, professional, and help promptly. Great property with great staff and amenities.submitted by Jesse C. - Aug 31, 2017 |Recommended: YesThe only complaint I would have is the pricing structure. I am locked in at my monthly rate but new residents could currently get the same exact layout I have for 200 less per month. That makes a resident like myself, who has been at the Haven over 2 years and has never been a minute late on a payment, feel taken advantage of. As far as the property, it is a very nice place to live. Very quiet on the weekends. Great location. The staff are incredible and any maintenance issue is handled quickly. I would recommend the property for sure. No place better to livesubmitted by Deanna J. - Aug 15, 2017 |Recommended: YesListen, if you are not satisfied with this complex, then you just cannot be satisfied. Bottom line. The Haven is excellence in apartment living. Everything is clean, the residents are quiet and respectful, the front office seems legitimately happy to see me and to help me in any way they can, and the maintenance requests are handled quickly and efficiently. I have zero complaints. Literally. This past weekend, there was a crushed pretzel in the elevator. It was cleaned up I'm pretty sure the same day. This is how serious this place is about clean. Wonderful Luxury Apartments. submitted by Curtis S. - Aug 04, 2017 |Recommended: YesThe Haven is very spacious and modern. All of the residents are extremely nice and respectful. The property is very dog friendly and the pool area looks like a resort during the Summer time. Maintenance is very prompt about fixing what few issues may arise and the office staff is always available. Best Place I Have Ever Lived submitted by William F. - Aug 01, 2017 |Recommended: YesEverything is brand new and there is so much to do pool, game room, fire pit, gym, and walking paths . The office staff is always super nice and helpful. All maintenance requests are handled very fast. World classsubmitted by Bradley D. - Apr 22, 2017 |Recommended: YesSuper amenities, quality finishes in my apartment, and great experience with the Haven leasing, management and maintenance staff. Lauren is personable and professional. The whole experience was the best I have had in decades of leasing and even better than my high end condo management team. Luxury Apartement Livingsubmitted by Kenneth M. - Mar 18, 2017 |Recommended: YesGreat location in Cranberry TWP, easy access to I79 and convenient to lots of shopping. The staff are courteous and the amenities are very good. The common areas are well maintained and really enjoy the pool in the summer and fire pits in the fall. The game room is well equipped with a golf simulator and pool table and the business lounge with computers and complimentary coffee is a plus. Met several of my fellow residents just in the common areas and gives you a good feeling of a community. Excellent submitted by Mandar S. - Mar 01, 2017 |Recommended: YesIts like living in a resort - All of my friends who have visited my apartment, says its the best apartment complex they have seen. Quality of construction, accessibility, peace, beautiful walkways, facilities -- there is so much worth mentioning.